The Deputy Peoples Commissar for Defence and head of the Central Artillery Directorate (GAU), G. L Kulik, disliked the T-34 and insisted on various changes. This disrupted early production and led to the Council of People's Commissars ordering an improvement programme for the T-34 tank. Designated the T-34M, it would have the torsion bar suspension system used on the KV and T-50 tanks, and the hull and turret redesigned with an increase in armour. The project broke down when it became clear that it would seriously disrupt production. Morozov had designed a new turret gun for the T-34M in response to some of the flaws of the earlier turrets that had shown tip in combat. German tank-killing infantry squads could climb onto the back of the tank and wedge a Teller AT mine under the turret overhang. The overhang also created a shell trap that deflected incoming rounds into the vulnerable turret ring. Morozov's new, cast, hexagonal turret that appeared on the Model 1943 eliminated the overhang, was also considerably easier to manufacture and larger than the original turrets, giving the turret crew a little more space. 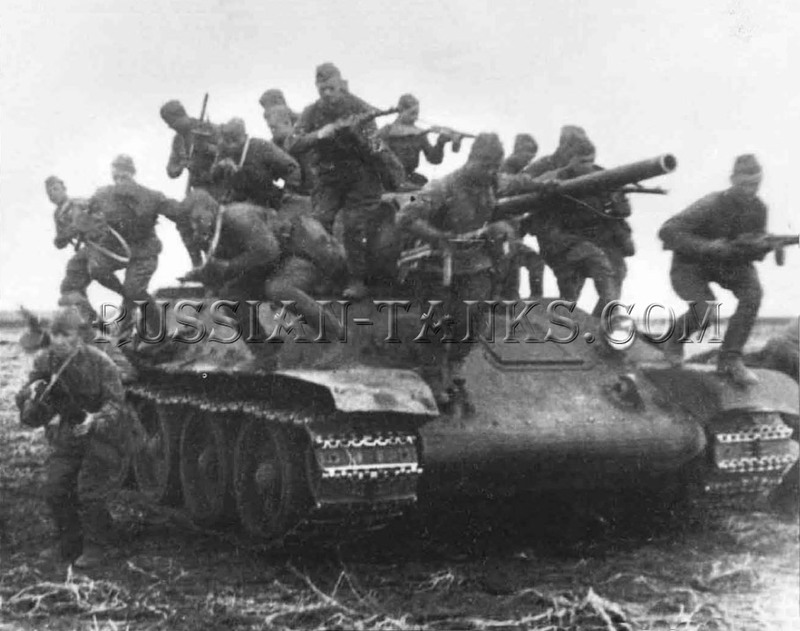 However, the problem of the small turret gun and overworked turret crew was only adequately solved with the introduction of a large three-man turret on the T-34/85 thar entered production in the wimer of 1943. The early T-34 Tank Model 1940 was armed with the short 76,2mm (3 in) L-11 Model 1938 rifled gun with a length of 30,5 calibres. 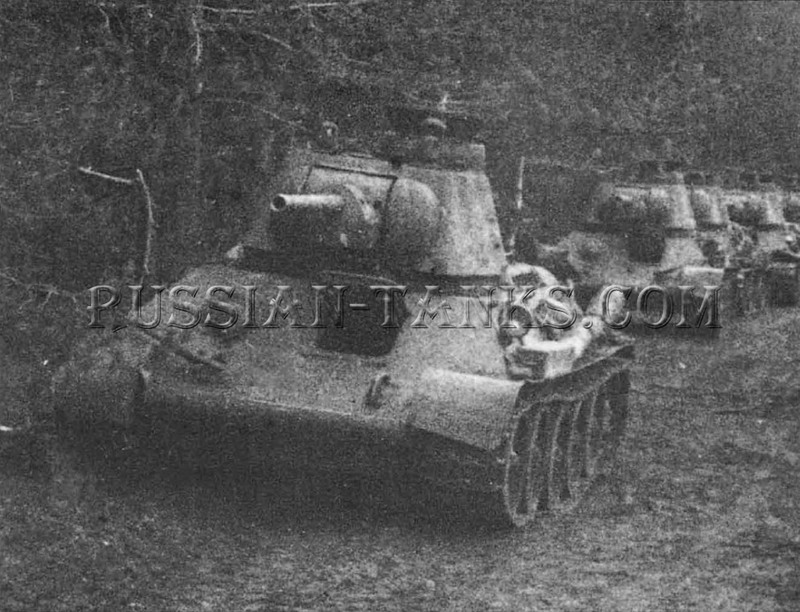 During 1941 a very small number of tank T-34 were fitted with the 57mm (2,24in) ZiS-4 long-barrelled high-velocity weapon, which was intended for engaging lightly armed vehicles; at longer ranges. The high velocity of this weapon compensated for the loss of calibre, and the L-11 remained the standard gun on the Model 1940 production run, although it was not exactly up to the standard that the Soviets were seeking for a gun, and the T-34 designers were not totally satisfied with the weapon. Fortunately there was a better gun available, although Soviet bureaucracy and the interference of Kulik, the head of the GAU, did much to hamper its introduction. Grabin and his team at Zavod Nr 92 already had a new 76,2 mm (3 in) gun in production. The F-32 was being tined to the new KV heavy tank and was achieving much better anti-armour performance than the tank T-34 Model 1940s L-11, due to its longer barrel. By the end of 1940 a member of Grabin's team, P. Muraviev, had adapted Grabin's F-32 gun for the T-34 and produced a weapon (the longer F-34 with 42 calibres) considerably superior to the L-11. In a move showing considerable initiative and courage. Grabin and the director of Zavod Nr 92, A. Elyan, began producing the F-34 alongside the L-11 and shipped them to the Kharkov plant which was building the T-34. The initial F-34 guns wcre completed in January 1941 and the first T-34s, usually classified as the tank T-34 Model 1941, armed with the F-34, rolled out in February 1941. They were mainly used as platoon-and company commander ranks, and proved very popular in combat after the German invasion, due to their increased hitting power. Stalin became aware of the new version through front- line correspondence. So as units involved in the fighting demanded more tanks equipped with the F-34, rather than the less effective L-11. the Main Defence Committee finally authorized the F-34 in the summer of 1941. The 76,2mm (3 in) F-34 Model 1940 (42-calibre length) gun equipped all subsequent models of T-34 until increases in German armour protection led to the adoption of an 85mm (3,34in) gun in late 1943, though tanks armed with the F-34 remained in service until the end of the war. The F-34 had a conventional semiautomatic drop breech and the commander fired the main gun either by hand or by using a foot pedal. The gun elevated from -3 degree co +30 degrees while the L-11 could depress to -5 degrees. The commander was responsible for the manual or electric turret gun traverse on the latter at a rate of 26 degrees a second. The standard Soviet armour-piercing round at the start of the war was the BR-350A, weighing 6,3 kg (13,9lb) with all initial muzzle velocity of 655 m/s (720 yd/s). In the F-34 gun it could penetrate the PzKpfw III and deal with the latest German tank, the PzKpfw IV Ausf. F, which had 50mm (1,96in) frontal armour, at almost all ranges. The F-34 gave the T-34 tank such a considerable advantage in range and hitting power that the Germans scrambled to overcome it; the Mark IV Ausf, H with 80mm (3,2in) frontal armour was introduced in the spring of 1943. The Soviets maintained their lead with the 3kg (6,6lb) APDS round, the BR-350P. It could penetrate 92mm (3,7in) of armour at 500m (550 yd), the average range of a tank engagement. However, the introduction of the new German tank models designed specifically to defeat the T-34 in 1943 shifted the balance drastically. The F-34 gun proved largely incapable of penetrating the frontal armour of the Tiger and Panther at normal combat ranges. 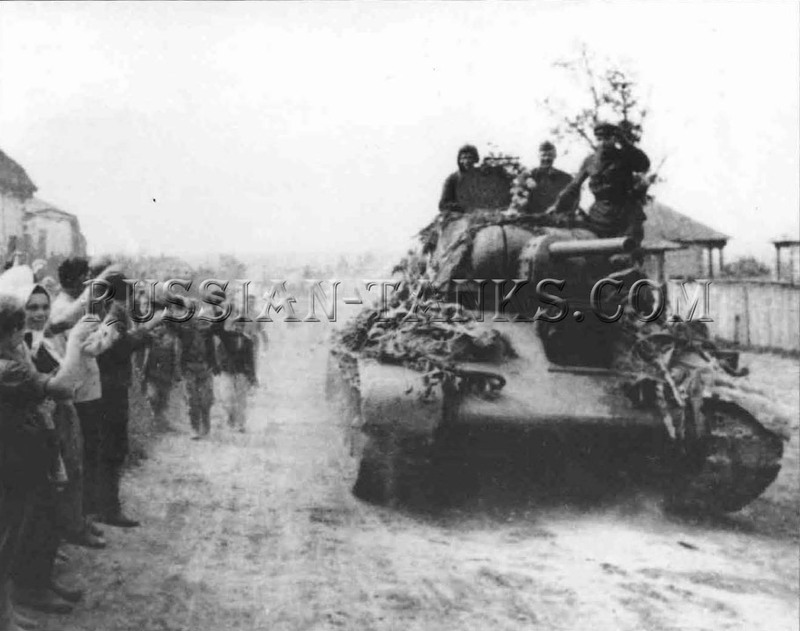 At Kursk in July 1943, the T-34 s were forced to close to point-blank or manoeuvre to engage the side or rear. The situation was only resolved with the adoption of the 85mm (3,34in) gun in late 1943. 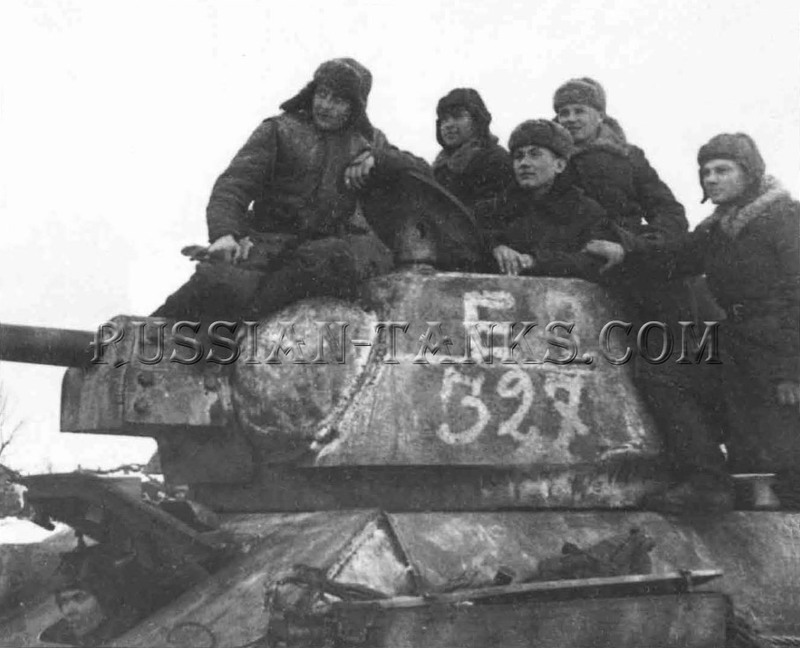 The T-34 carried 77 rounds for the main gun. This was increased to 100 on the T-34 Model 1943. The Standard combat load was 19 rounds of BR-350A AP,53 F-354 or OF-350 HE rounds and 5 SH-350 rounds of canister. Three ready-use rounds were on the hull side near the loaders feet, and six more were on the wall beside the commander. The rest of the ammunition was on the hull floor, covered by neoprene matting. The loader pulled back the matting to access the ammunition bins. but the stowage was slightly awkward and often required the hull machine-gunner's help. The floor would become a mess of open bins and discarded marring that degraded the crew's performance in combat.